Alex and Ani's Fall Collection is Here! 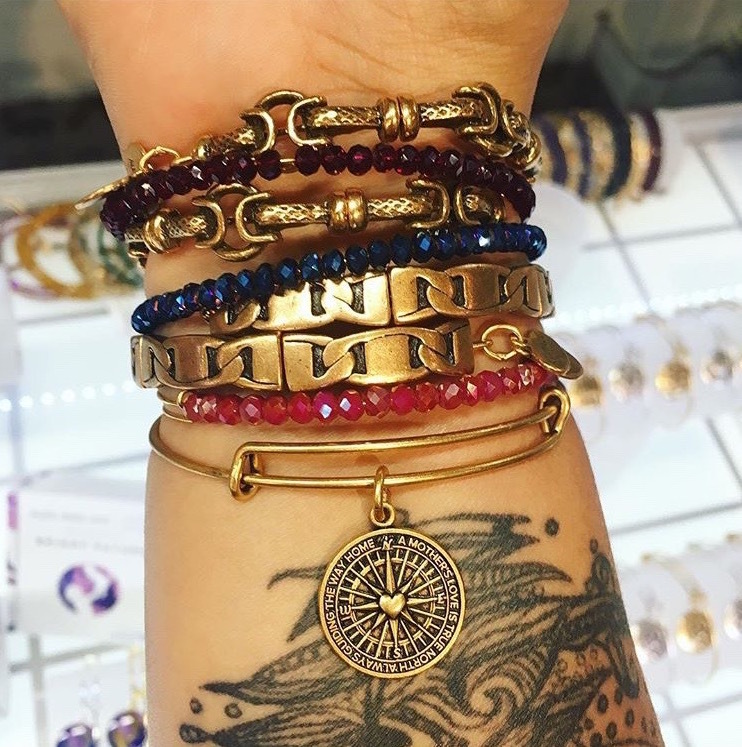 The new collection of Alex and Ani is here! And we are in love. Fall is finally kind of in the air here in Southern Ontario, and we are ready to layer up with wool scarves, Pyrrha, and Alex and Ani's new "Celebration of Life" collection! Here is Glenda's tatted up arm showcasing the new piece "True Direction" from the collection, perfect for Mom. 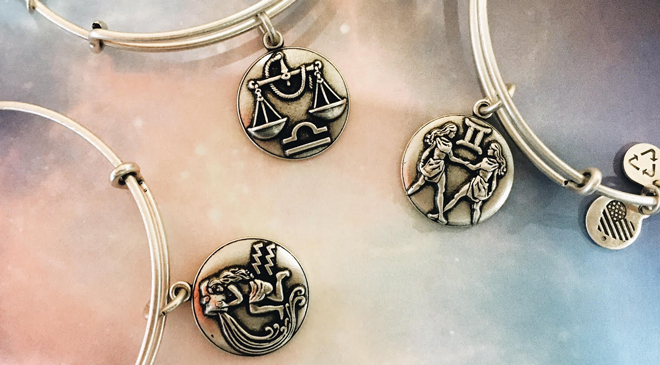 They also have a new line of Zodiac charms with smoother edges and all new images. Below, Jessie models a few of the new beaded collection, her Zodiac sign (any fellow Gemini's out there? 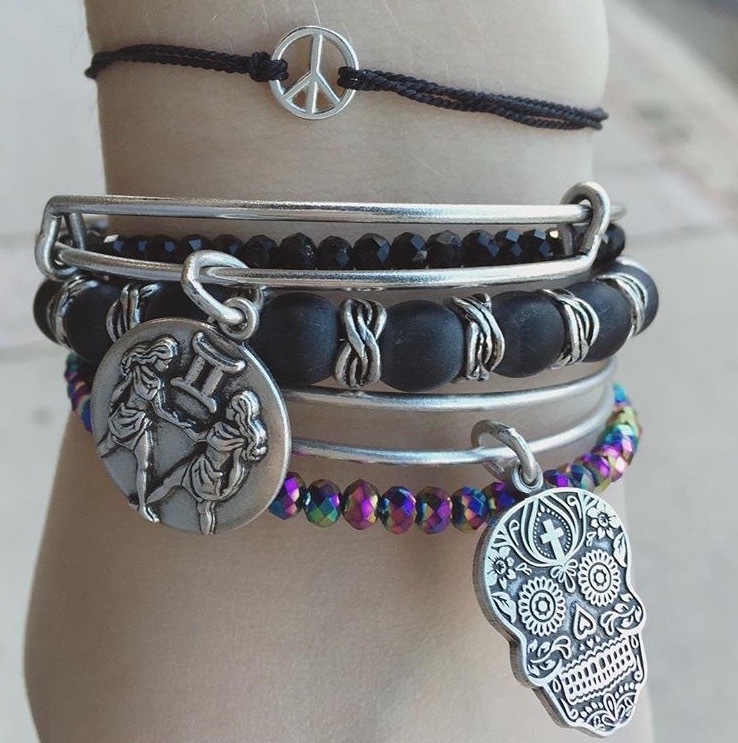 ), a new Kindred Cord design featuring a peace sign (some of the proceeds go to UNICEF), and their new Path of Symbols piece called Calavera (sugar skull), celebrating the Mexican Day of the Dead. For more of the new collection, come into the store and check it out!